Chronic suppurative otitis media is an infection of the middle ear and mastoid cavity. It is one of the most common causes of deafness. Low social-economic status, overcrowding, malnutrition and poor hygiene are the common risk factors and it commonly affects infants and children. The common pathogens responsible are Pseudomonas aeruginosa, Staphylococcus aureus, Escherichia coli, Aspergillus species, Candida species etc. Several studies similar to this have been done previously from various regions of our country and also from several parts of the world. There are no studies done recently from this region to determine the bacteriological profile of aerobic bacteria and their antibiotic susceptibility in this region. The study was done for six months and the sample size was 80. Ear swab culture was done on blood agar, MacConkey agar, and chocolate agar. The culture plates were processed and identification of the isolates and antibiotic susceptibility were done as per standard methods. Samples with bacterial growth were 66 (82.5%), fungal growth were 10 (12.5%) and 4 (5%) samples had no growth. There were 82 isolates of bacteria and fungi from 80 patients. The predominant bacteria were Pseudomonas aeruginosa with 31 (37.80%) isolates followed by Staphylococcus aureus 25 (30.49%). All 31(100%) P. aeruginosa isolates were sensitive to colistin and polymixin B, while 30 (96.8%) isolates showed sensitivity to piperacillin-tazobactam, cefoperazone-sulbactam and aztreonam. Only 21 (67.7%) isolates were sensitive to gentamicin, 23 (74.2%) isolates were sensitive to ciprofloxacin, whereas 24 (77.4%) isolates were sensitive to levofloxacin. All 25 (100%) S. aureus isolates showed sensitivity to vancomycin, teicoplanin and linezolid whereas 23 (92%) isolates showed sensitivity to amikacin, doxycycline and clindamycin. 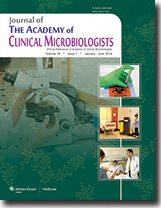 Only one isolate (4%) was sensitive to ampicillin whereas 8 (32%) were sensitive to amoxicillin-clavulanic acid in vitro. P. aeruginosa and S. aureus are the most common aerobic bacterial pathogens in chronic suppurative otitis media. P. aeruginosa showed 100% sensitivity to Colistin and Polymixin B followed by Piperacillin-tazobactam (96.8%), Cefoperazone-sulbactam (96.8%) and Aztreonam (96.8%). S. aureus showed 100% sensitivity to Vancomycin, Teicoplanin and Linezolid followed by Amikacin, Doxycycline and Clindamycin (92% each). Culture and sensitivity should be done in chronic suppurative otitis media before initiating antibiotic therapy. This is a prospective study on the microbial profile of suppurative keratitis conducted at Regional Institute of Ophthalmology, Trivandrum for a period of 2 years from March 2006 to February 2008. The objective was to identify the specific causative organisms from patients with suppurative keratitis in a tertiary referral eye care center in South Kerala. All consecutive cases of clinically diagnosed corneal ulcers were evaluated. Corneal scrapings were performed and processed for direct microscopy and culture on appropriate media. A total of 1221 cases of corneal ulcers were evaluated. Causative organism was isolated in 343 cases (28.09%). Among them, 240 cases (69.9%) were fungi and 97 cases (28.27%) were bacteria. Acanthamoeba was isolated in six cases (1.74%). Among fungi Fusarium species and Aspergillus species were predominant (31.66%) followed by Penicillium species (24.58%). Among bacteria, Gram-positive cocci (26.80%) were predominant followed by Pseudomonas (24.74%). Enterobacteriaceae producing both Amp C beta lactamases and extended-spectrum beta lactamases (ESBLs) have been increasingly reported worldwide. While the phenotypic tests for ESBL is standardised and used widely, it is not so for Amp C. When they coexist they may mask each other's detection phenotypically. We undertook this study to detect the concurrent occurrence of Cefotaxime (CTX)-M and plasmid Amp C in clinical isolates of Enterobacteriaceae by phenotypic and genotypic methods. One hundred clinically significant isolates of Escherichia coli (E. coli; 43), Klebsiella pneumoniae (K. pneumoniae; 43) and Proteus mirabilis (P. mirabilis; 14) were included in the study. Antibiotic susceptibility testing to various classes of antimicrobials was performed by disc diffusion using Clinical Laboratory Standards Institute (CLSI) guidelines. Isolates were screened for production of ESBL by CLSI method and Amp C beta lactamase by inhibitor based method using boronic acid and cloxacillin. Polymerase chain reaction (PCR) was performed for the detection of plasmid Amp C genes and blaCTX-M . Plasmid Amp C genes were detected in 27 isolates which included CIT (Origin Citrobacter freundii): 14; DHA (Dhahran Hospital in Saudi Arabia): 12; EBC (Origin Enterobacter cloacae): 1. BlaCTX-M was detected in 51 isolates. Both coexisted in one E. coli and two K. pneumoniae. In one of the K. pneumoniae isolate, all phenotypic tests employed were negative. A high degree of cross resistance to other classes of antimicrobials was observed. Carbapenem resistance was noted in 21 isolates. The concurrent occurrence of Amp C and CTX-M is not common in clinical isolates of Enterobacteriaceae. Phenotypic tests perform poorly when these enzymes are coproduced. Leclercia adecarboxylata is a rarely reported human pathogen, usually affecting immune compromised individuals. In the reported cases of immunocompetent patients infected with this organism, it is seen in the context with polymicrobial infections. Herein, we report the case of a para-ovarian abscess in a patient that grew L. adecarboxylata as a pure culture. The limited literature available on this organism is reviewed, and the potential implication of this finding is discussed. Tuberculosis remains a major public health problem. One-third of the cases diagnosed with tuberculosis have extrapulmonary disease. Here, we report a rare presentation of extrapulmonary tuberculosis involving the spleen. This isolate was a sensitive one and hence the patient responded to the standard regime. Traditional methods of diagnosis are time-consuming but accurate and should be mandatorily followed by drug susceptibility testing to rule out multidrug and extensively drug-resistant tuberculosis. Nocardia is known to cause myriad of infections like pulmonary, cutaneous or disseminated in immunocompromised persons. We report a rare case of Nocardia asteroides complex causing chronic suppurative otitis media (CSOM) in a patient with idiopathic thrombocytopenic purpura (ITP), and then leading to cortical venous thrombosis. The patient was treated successfully and discharged till follow-up. We report a case of Salmonella enterica serotype Typhi (S.Typhi) isolated from a case of post- traumatic anterior parietal wall abscess. Enteric fever is endemic in most of the developing regions, especially in the Indian sub-continent. 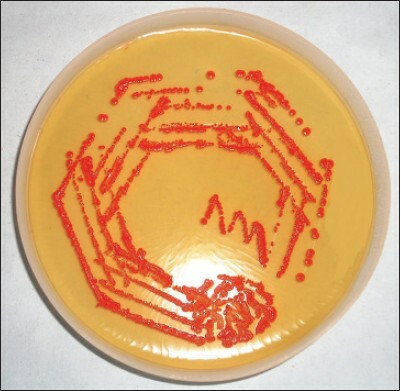 S.Typhi bacteremia is known to be associated with extra-intestinal disease. It is capable of forming abscesses in various organs, like spleen, sub-cutaneous tissue & skin. The pathogenesis of abscess formation is not well established. Salmonella species can occasionally cause soft tissue infections at the sites of local trauma. Twenty-eight-year-old female patient, reported with history of acute painful loss of vision, following contact with Parthenium plants 15 days ago. Slit lamp examination showed 4-5 mm circumscribed thick plaque of slough in the central cornea with satellite infiltration and tenacious hypopyon. Ten percent potassium hydroxide (KOH) preparation of the slough revealed plenty of septate fungal hyphae. Topical Natamycin was instilled with no improvement. Ulcer debridement was done and thick plaque was subjected to microbiological examination. Fungal culture yielded Aspergillus flavus. Topical Amphotericin B was added along with Natamycin. Despite good response the condition progressed to quick melting and perforation. Crystalline lens extruded through the perforation, after several bouts of sneezing. Perforation was managed by therapeutic corneal grafting. Drug resistance, drug toxicity, corneal thinning and the strain by the patient might explain the disease progression. Factors causing corneal melt and the measures adopted to prevent the intraocular spread are presented. Candida species are components of the normal flora of human beings. They are commonly found in skin, gastrointestinal tract and female genital tract during pregnancy and causes endogenous infection. Although Candida albicans remains the most common cause of superficial and deep fungal infections, now other species are also commonly isolated. 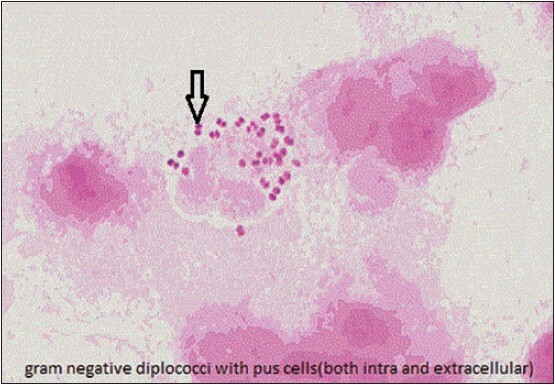 Here we report a case of acute peritonitis from which Candida tropicalis was isolated. 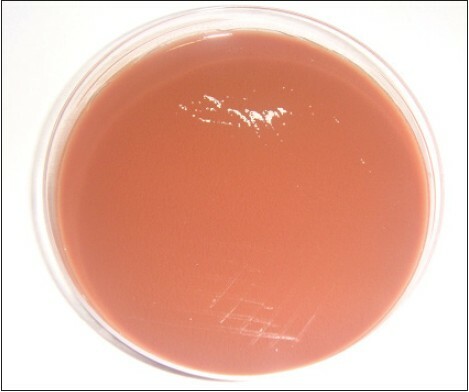 Rhodotorula is a pigmented yeast, a part of phylum Basidiomycota, that is quite easily identifiable by distinctive orange/red colonies when grown on Sabourauds Dextrose Agar. While being considered as a common contaminant, Rhodotorula may infect individuals with predisposing risk factors like patients with acquired immunodeficiency syndrome (AIDS), endocarditis, central venous catheter infections, fungaemia and sepsis. We report a case in which the Rhodotorula species was isolated from the peritoneal dialysis fluid of a 7-year-old child with the prune belly syndrome. The child was given systemic anti-fungals, and peritoneal dialysis (PD) catheter was removed after which the child became asymptomatic. Neisseria meningitidis is a primary pathogen causing meningitis in almost all age groups. If appropriate treatment is not started early it can lead to septicaemia and death. Here we report post-traumatic meningococcal meningitis in an elderly male patient that was resistant to Penicillin.